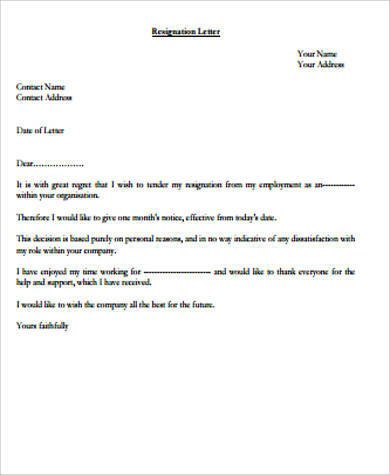 A resignation letter is a formal letter in which an employee informs his or her manager or employer regarding his resignation. This is not something that can can be done without; as a matter of fact, tendering a resignation letter on the appropriate time is a necessary procedure in normal corporate settings. Otherwise, an employee who just leaves his job without tendering a formal letter of resignation is bound to suffer from negative consequences in his/her future work endeavors. 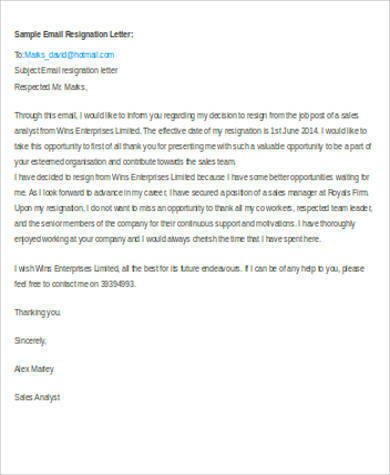 That is why, in order to make things easier for you, we have made available a wide collection of Sample Letters of resignation for you to choose from. You may edit these according to your personal details or you can make these templates as your guides in writing your own. Scroll freely and download the template which suits your needs best. 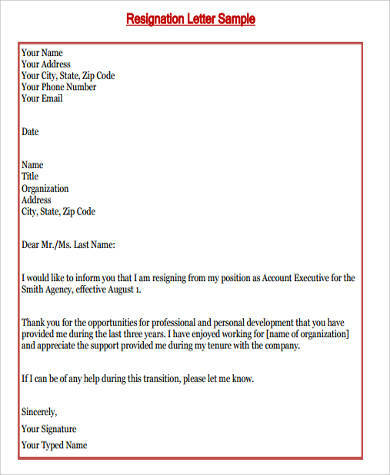 Indeed, crafting a proper resignation letter is a daunting undertaking. 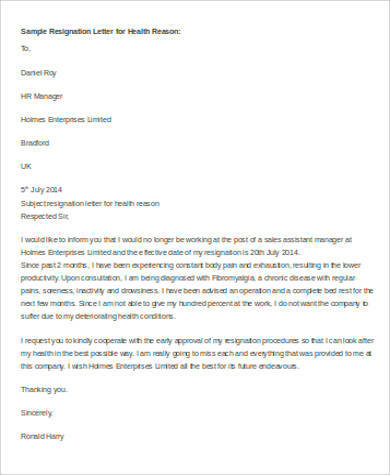 If you need any help in writing your letter, you can always peruse our easily editable Resignation Letter Examples. 1. Start with a friendly yet formal opening. 2. State in clear terms that you intend to resign. 3. Observe contractual provisions on proper notice. After you state your intention to resign, you must state the specific date in which you intend to stop working. Normally, the notice period is 2–3 weeks before actual resignation. It is during this period that your company will have the chance to look for other candidates who can fill in your job position once you’ve vacated it. This part is important because you might suffer legal consequences if you do not observe the proper notice period stated in your contract. Sometimes, if not legal consequences, your reputation will be tainted since your company has the power to withhold from giving you a formal certificate of employment. Hence, it may negatively affect your future job prospects. 4. State your reasons for leaving the job. This part is not necessary. However, if it has something to do with a lack in the administration, you may opt to present a respectful and constructive explanation how a specific company rule or outdated culture has prompted you to move forward to a different company. Remember to always be courteous, otherwise, it is always best to leave out this part. 5. Expressly state your willingness to help your company during the transition period. Ensure your manager that you will make things easier for them by making sure that you will mentor or train the person who is supposed to fill in your position after you leave. 6. 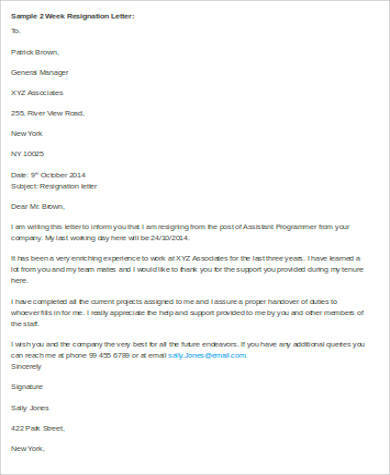 Express your gratitude toward your company. At this point, you can narrate how much you have grown and what you have learned from the company. 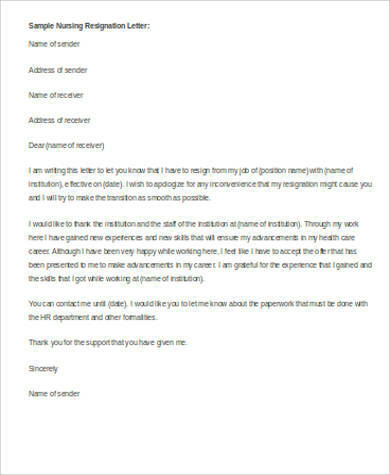 If you don’t know how to go about in expressing your gratitude, you might want to learn from our Best Examples of Resignation Letter. Simply click on the link provided. 7. 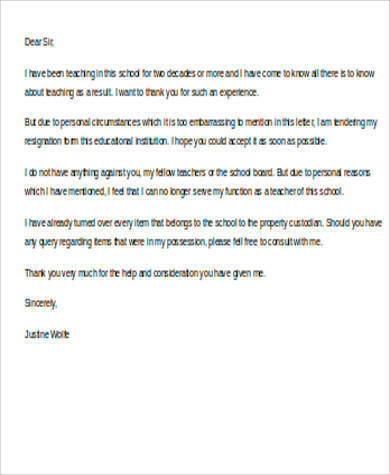 Respectfully close your letter.